These were a project undertaken for a friend of mine who is (you guessed it) vegan. I’m actually living with all vegans now, so this will certainly not be the last vegan baking experiment. Not that I’ll be giving up regular butter-eggs-and-milk baking anytime soon, but it’s a good learning opportunity. Especially if all my vegan baking is this tasty! I’ll be honest, this is never going to beat my favorite cupcake recipe, but it’s dead easy (one bowl!) and it’s pretty damn good. 1. Preheat your oven to 375 Fahrenheit. Line a muffin pan with cupcake cups. 2. 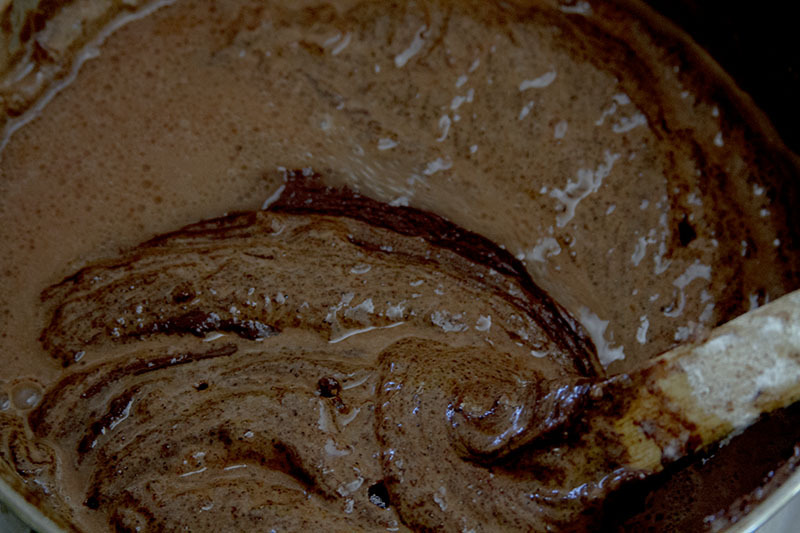 In a large mixing bowl, stir together the flour, cocoa powder, baking soda, salt, and sugar until thoroughly integrated. 3. Stir in the water/coffee and the oil, mixing in thoroughly. 4. Add the white vinegar. It will bubble and turn the batter lighter wherever it reacts with the baking soda. Stir it in quickly – you’ll know it’s well-combined when all your batter is the same color again. 5. Pour the batter into the pan so liners are about 3/4 full. Bake until a tester comes out clean, about 15 minutes (depending on the size of your cupcakes). Let cool in pans for about 10 minutes, then move to a rack to cool completely before frosting. 1. Beat the avocado and the lemon juice for about 2-3 minutes, until lightened in color. This is obviously best with an electric mixer, but I did it with a fork and it worked out okay. 2. Add the powdered sugar a little at a time, beating until smooth. Spread or pipe onto cupcakes. It’s so tasty! 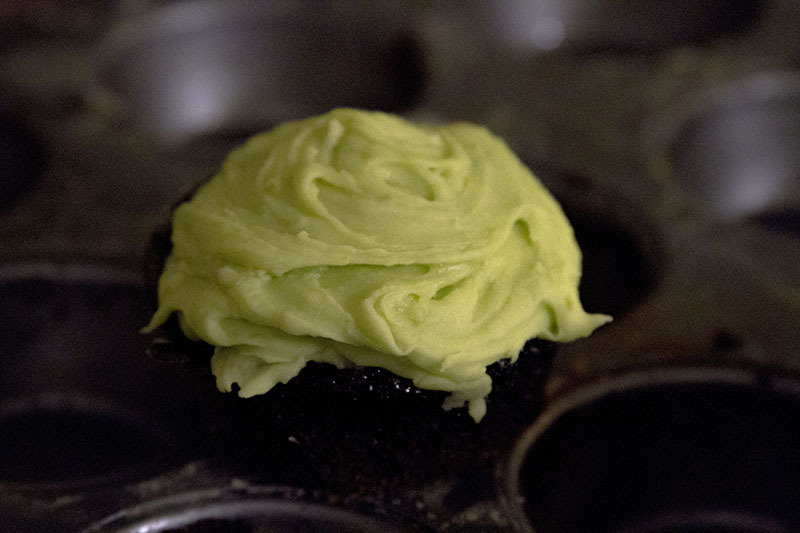 No real avocado flavor – just a nice, slightly lemony icing. Way better for you than making it with butter, too.